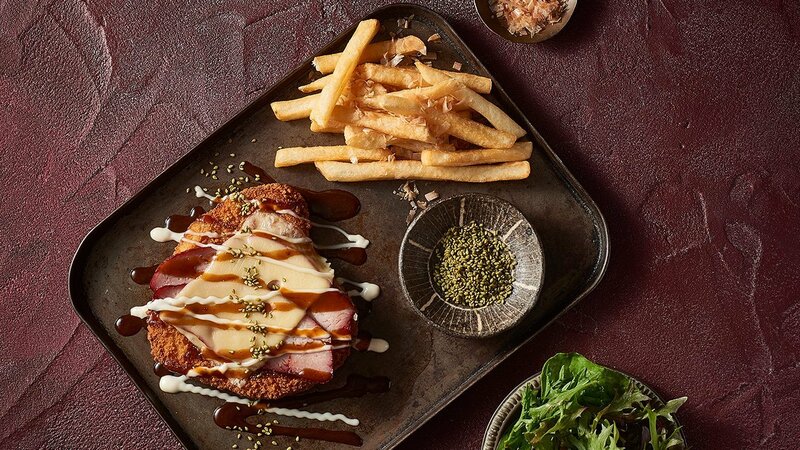 Crisp breaded chicken breast topped with pork, cheese, teriyaki and mayo. Seriously, what's not to love? Prepare chicken breast ready to crumb. Set up crumbing station. Crumb and deep-fry until golden brown - place on a tray. Top snitz with thin slice roast pork KNORR Japanese Teriyaki Sauce GF and swiss cheese. Japanese Salad as a side.